Remodelers Mart offers an expansive selection of countertops for any project large or small. 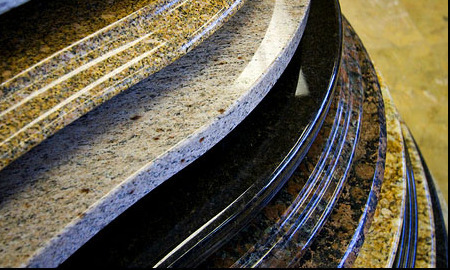 We offer a variety of options such as Granite, Quartz and Marble with different Edge and Sink options. 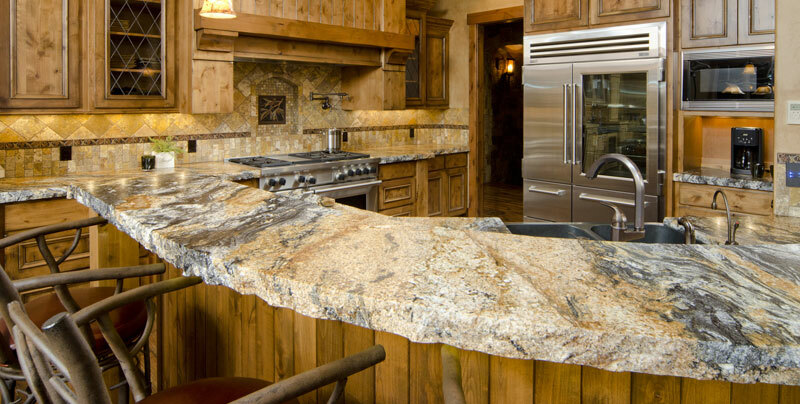 Granite and other natural stone products are typically considered premium, or “high end” products. One of the biggest benefits of using a natural stone is its unique and beautiful appearance. Granite is highly scratch-resistant and durable. It is formed from the rise of molten magma deep beneath the Earth’s crust. It is mined from around the world in large blocks that are cut into slabs. The slabs are polished and distributed to fabricators to create a multitude of products like kitchen and bathroom countertops. 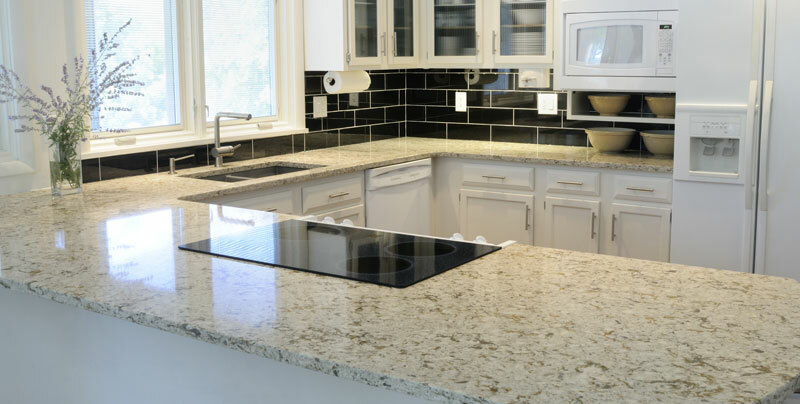 Quartz countertops contain crushed quartz mixed with resin in a ratio of 93% quartz to 7% resin. They are manufactured in a variety of different patterns and colors. Quartz is a man-made stone and does not require any maintenance. Marble is a natural material with great variety, depending on which species you select and how it’s cut. A non-foliated metamorphic rock, marble is generally composed of calcium carbonate or magnesium carbonate, which react to acids. 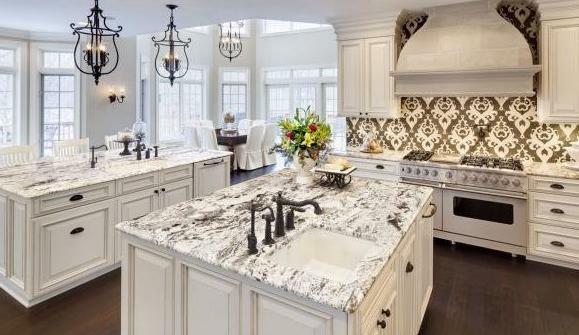 As long as you choose carefully, know what to expect, and care for marble countertops, they can be a beautiful, functional choice that lasts a lifetime. 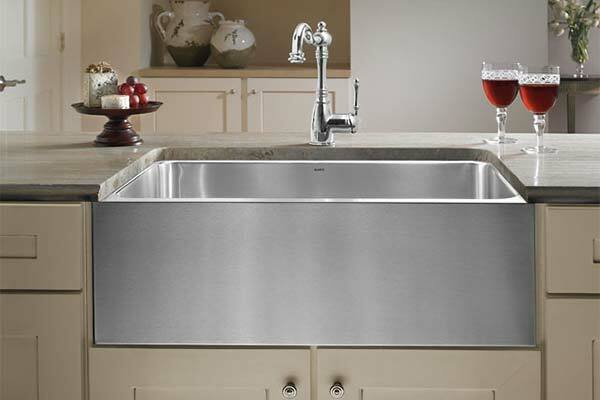 All of our stainless steel sinks are created with 304 Series stainless steel. 304 Series or “surgical grade” stainless steel is non-porous, hygienic, rust free and extremely durable. This premium grade of stainless steel is considered to be the best formulation for residential sink manufacturing.